The progress of commercial spaceflight advances as SpaceX had a successful launch of their Dragon Resupply Capsule to the International Space Station on a Falcon 9 Rocket. The Dragon Capsule did suffer a temporary loss of 3 of the 4 control thrusters upon entry to orbit, which seemed to correct itself within a short time. No damage was taken from the failure other than the loss of one day to re-adjust the orbit so that it could meet the Space Station as intended. This is another bug like the last Falcon 9 flight, which shut down 1 of 9 main engines due to a undetected “Material Flaw” in that engine’s jacket. That flaw did not cause a mission failure as the Falcon 9 was designed to achieve orbit with only 8 of 9 operational engines. Hopefully like that minor problem, SpaceX will be able to learn from the experience and further increase their operational reliability. 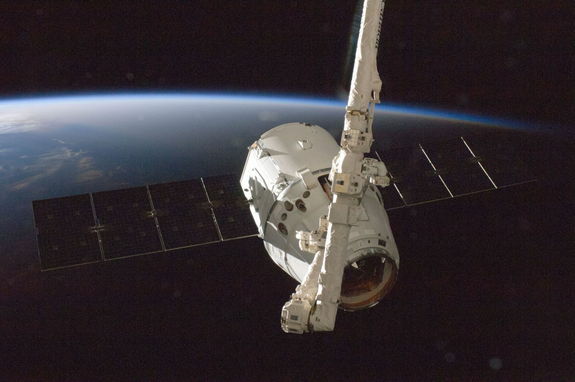 SpaceX is so far the only private company that has been able to re-supply the space station, working off a $1.6 billion for 12 missions contract signed with NASA to take over space shuttle re-supply missions. This latest re-supply mission not only carries much needed food and other necessities but also new research projects. Since only the Dragon Capsule and the Russian Soyuz can safely re-enter Earth’s atmosphere, it is also planned that the Dragon Capsule be stocked full of the research that the astronauts on the station have been working on for the last year. These experiments range from crystal growth experiments, plant and human research, behavior of semi-conductors, detergents, and even a few generations of fish that have lived their entire life in space. This research will be fully analyzed back here on Earth utilizing full research facilities in the U.S., Canada, France, and Japan . 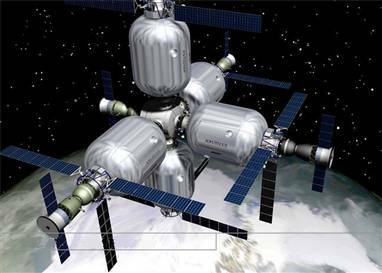 Some of the new research being sent to the station include more plant experiments, how metals solidify in low gravity, better ways to prolong shelf life of personal care products, and new laboratory equipment to make current experiments less time-intensive. There are also student experiments designed to study bacteria, iron corrosion, battery performance, and carbon dioxide levels which have been designed at several California schools. The Falcon 9 and Dragon Capsule are in competition with Orbital Sciences Corp’s Antares Rocket and Cygnus Spacecraft which is set for a test launch later this year. Orbital has received a $1.9 billion contract for 8 cargo missions to the I.S.S. to ensure competition among the best space corporations. This should lead to private manned mission to the I.S.S. and possibly even privately owned space stations in the future, eventually allowing space access to anybody that can afford it instead of people that are hand picked by government agencies. It is hoped that corporations will be far more motivated to keep down launch costs and achieve the best bang to orbit for the buck, also increasing access to space for governments, corporations, and individuals. With this second successful trip, private spaceflight is on the way to becoming a commonplace occurrence instead of a new way of operating. Like it or not, governments no longer have exclusive control of what goes into space and now that corporations have access to space, it is not likely that they will ever lose that additional lucrative market.